EVE Fanfest 2017 Reveals: CCP Signals the end of Aegis Sov? At this year’s FanFest, CCP discussed three upcoming changes to EVE’s gameplay; PvE improvement, changes to moon mining to facilitate Starbase removal, and the replacement of Stations and Outposts with destructible Citadels. Individually, these changes are all steps further down long-awaited roads. 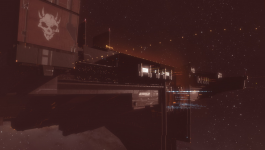 Taken together, though, these changes provide a window into the future of EVE Online, and point at a possible direction many may not expect: the end of Aegis Sovereignty. Before we look at what each of the planned systems means for Aegis Sov, it’s useful to review just what Aegis Sov is, especially for newer readers or readers who keep to high- or low-security space and may not have dealt with the system. Aegis, or “FozzieSov”, is the current system of mechanics for owning space in conquerable nullsec. Every resident of null knows basically how it works: there are 3 different types of Sovereignty structures: Territorial Claim Units (TCUs), Infrastructure Hubs (IHUBs), and Conquerable Stations and Deployable Outposts. The only real difference between a Conquerable Station and a Deployable Outpost is that the former were initially seeded by CCP, and the latter were deployed by players. There’s also a difference in models, but that’s purely cosmetic. As a result, for purposes of this discussion, both will be addressed together as ‘Stations’. In the Aegis system, players engage these structures with the use of an Entosis Link, the so-called ‘Sov Wand’. The link takes one activation cycle—five minutes for a Tech I link, two minutes for Tech II—to begin taking effect, and uses one unit of Strontium Clathrates per cycle. One the entosis effect is active, it takes between ten and sixty minutes to completely entosis a structure, depending on the defensive indices of the system. Multiple Entosis Links do not speed this up. While entosising, the attacker cannot receive any remote assistance, cannot warp or cloak, and has a maximum speed of 4km/s. If attackers are successful in entosising a structure, it then enters a reinforcement timer for two days. At this point, the two sides are supposed to engage in combat to contest the Command Nodes that spawn in the local constellation. Each of these Command Nodes is essentially a repeat of the original entosis process. The reinforcement contest is over when one side captures a total of twenty nodes more than their opponents. In the case of TCUs and IHUBs, if the attackers win this timer, the structure is destroyed. With Stations, a victory for the attackers means the Station is ‘freeported’, ie: it is under NPC control, anyone can dock and it enters a second two-day reinforcement timer. The winner of the second timer assumes control of the Station. The intent of the entosis warfare system was to make sovereignty accessible to smaller groups. In some regards, it has done this. Smaller groups no longer need to spend hours upon hours futilely shooting at an IHUB with thirty pilots, only to have twice their number of defenders swoop in and wipe out all of their work because they just woke up. Moving to a system where the fighting over a structure has a reasonably limited duration makes sense. It’s helped small groups be able to take and hold sov. The system isn’t perfect, though, and often breaks down in the application. The fight over a reinforcement timer, for example, can go on for just as many hours as the old structure grinds of the previous system, Dominion Sovereignty. Large groups are still able to overwhelm smaller groups through force of numbers. Other factors also detract from the appeal of Aegis. While these factors are minimized in the singular context of the initial Entosis attack, they become especially pronounced during the reinforcement timer. 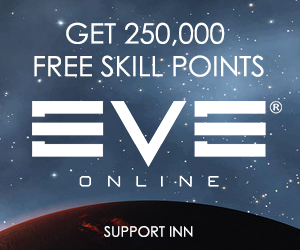 Online gaming, including EVE, is primarily a social activity. Entosis warfare, by contrast, is not. When a pilot turns on his Entosis Link, he can’t be helped if he falls under attack—except by friends blowing up the other ships, which gets much, much harder to do effectively the more ships the enemy brings. The enemy’s ships all still benefit from their allies’ remote repairs, jamming, etc, but the Entosiser does not. During a reinforcement timer, attackers are necessarily spread out across a constellation to contest as many nodes as possible. Defenders, however, can concentrate their strength. This means that two groups of roughly equal size in absolute numbers engage at significantly different strength. Consider a scenario of covering only five nodes at once. Instead of fifty-on-fifty, the attackers can send their entosis pilots out alone, preserving the strength of their fleet for engaging the enemy fleet. This leaves those entosis pilots without cover, though, and they’ll be quickly destroyed. Or they can split the fleet into five groups of ten, providing some cover for each of the entosis pilots, but an insufficient force to meaningfully defend against an attack on each node in turn by all fifty. In a single star system, this would be difficult enough. Traversing gates between systems across a constellation adds to the problem. With the defenders able to use interdictors to bubble the gates and slow down the attacking fleet, attempts to cover the attackers’ entosis pilots become extremely difficult when attacking with anything less than overwhelming force. This is why so many groups have adopted Interceptors for cover fleets: bubble-immunity, high warp speed, and artillery alpha-strike capabilities make them well-suited to entosis warfare on both sides, but hardly make for truly epic or memorable fights. The other problem is that players in EVE Online like to do damage and blow stuff up. Entosis Links do no damage. The progress indicator is a timer, rather than the slow wearing away of a target structure’s shields. The effect is completely identical: to win, you have to make the defensive number go down to 0. The presentation, however, changes the way the player thinks about what they’re doing. This is bad enough in the initial contest, but during the reinforcement timer, none of the entosis pilots are on-grid with the structure they’re actually attacking. They see their individual Command Nodes produce tiny little explosions when they complete them, but the real payoff players got in Dominion sov, the visceral, large explosion complete with a blast-wave ring as the enemy TCU or IHUB dies… is completely denied to them. You do no damage, and you don’t get to see the thing you’re really there to kill blow up. It should come as no surprise that to the vast majority of nullsec players, Aegis sov warfare is slightly less popular than being kicked in the gonads by an entire Budweiser team of Clydesdales. Aegis isn’t a total boondoggle, though. There are still voices out there saying it’s fine, and it just needs to be tweaked. Players involved in nullsec sovereignty also very much appreciate the intent behind Aegis, Most approve of the defensive index mechanics introduced, as well. But almost everyone who actually uses the mechanics of entosis warfare has expressed a deep and lasting desire for those mechanics to die in a fire. This year at FanFest, different teams at CCP talked about different improvements to the game. As indicated above, these improvements each have different levels of immediate, direct impact on the Aegis mechanics. There may be other impacts pointing to the death of the Entosis Link, though. We begin with the obvious. Removing Stations means nobody will be entosising stations. Fully one-third of the system goes away. That’s just a fact. Stations are being replaced with special, limited-edition citadels. These new citadels will have special bonuses and will be initially deployed with special rigs that enhance those bonuses. Otherwise, though, they are essentially identical, mechanically, to Upwell Consortium Fortizar-class citadels. The Upwell structure line represents a very different approach to the problems of Dominion structure-bashing than Entosis warfare. Attacking an Upwell structure generates a reinforcement timer, just like Aegis, and it’s geared toward allowing smaller groups to be able to participate, just like Aegis, but that’s where the similarities end. Upwell structures don’t use entosis warfare. All of the indications that CCP has ever given, including some very strong statements by now ex-CCP Ytterbium, have been that Upwell structures will never use entosis mechanics. This doesn’t mean they can’t be tied into the defensive indices somehow, but when you attack an Upwell structure, you do damage, and when it dies, you’re on-grid to see it blow up. Instead, Upwell structures use a repair-timer mechanic: there is a limited window of vulnerability. That window can be widened by applying damage to pause the countdown to closure. A certain level of damage is needed to pause the timer, and there is another threshold where incoming damage caps out. Directly counter to the way Entosis Links and Command Node distribution pushes people into essentially solitary gameplay, these mechanics encourage social play. At the same time, they ensure that at a certain limit, n+1 is no longer effective in making the structure-bash go faster. Attacking a citadel means shooting at it for roughly 30 minutes, even if you have fifty times the number of people you need. This is, of course, complicated by the actions of other, competing groups, but that’s the point: those complications involve people. And even in competition, rivalry, or direct opposition, that’s still social gameplay. This means that for one of the three pillars of Aegis sov, entosis warfare is going away. And it’s not just ‘going away’. Entosis warfare across the spectrum of ‘where I dock up and keep all my crap’ is being replaced with explicitly, specifically ‘OMFG, not just no but hell no this will never use entosis’ warfare. Sov. Huh. (Good God, Y’all) What Is It Good For? Absolutely nothin’! Say it aga—Wait, no, sorry, got caught up in the song. That’s not quite true. There are, contrary to popular belief, uses for owning space. I mean in the mechanical sense, not just in the ‘this is my space and I blow up people who come in here’ sense. The main advantages to owning sov are… infrastructure. IHUBs control the primary sov mechanic. The length of time you’ve had your IHUB in place determines whether or not you can install jump bridges, another key piece of infrastructure. While not as incredibly handy as they were before the Phoebe changes introduced jump fatigue, jump bridges are still highly useful. They are often critical in terms of rapidly responding to threats across your space. IHUBS also allow the installation of IHUB upgrades that improve different aspects of your space. The most common upgrades are ratting upgrades and mining upgrades. These can both be looked at as ‘the upgrades you put in so your pilots can make some goddamned money’. Mining and ratting are the most widely-used means of making money in nullsec. So these upgrades are critical to providing a good income for your corp/alliance members. The other big use of sov is the other side of the coin: ‘What do you spend your money on?’ In EVE, ultimately, the entire ecosystem is driven by PvP. Even the trash the mission-runners sell just feeds into an economy built around ‘build ships and guns and ammunition and blow one another up’. At the apex of that food chain are supercapital ships: supercarriers and titans. Supercapitals can only be built in the largest Citadels and Engineering Complexes, and only where the alliance that owns those structures holds the sov index. Which means the IHUB. The Sov index also controls the amount of time needed to anchor new Upwell structures. That’s a fairly minor advantage, but it is there. TCUs… TCUs are just a name on the map. By and large, they’ve become an also-ran, a way for Alliances to feel like they’ve made their mark. The real power and ownership of space is all in the IHUB. The second item on our list is moon-mining. Moon-mining, for those unfamiliar with the process, is how a lot of the really rich alliances in the game got to be so rich. Under the current system, a corporation anchors a Player-Owned Starbase (POS) at a position on the moon’s warp-in grid. Then they set up a moon harvesting array and some silos, and the tower goes to work. Every now and again, you come in, empty the silos, and take the moon goo off to sell it. It’s an extremely passive system that operates on a level of complexity and engagement that almost rises to the level of ‘push button, get bacon’. Except there’s no actual bacon. There’s just expensive crap to have someone haul to market. So the visceral pleasure of eating bacon is replaced by the visceral boredom of more goddamned sell orders. CCP’s planned replacement for this is active gameplay. It’s based around the idea of carving a chunk off of the moon and dragging that out into space. There, it will be broken up into an asteroid field, which will be mined by players using normal mining means. One of the repeated questions regarding this plan has been whether the asteroid field will be purely ‘moon goo’, or if the field will provide additional ores and minerals as well. From statements CCP devs made at FanFest, it’s clear that the intention is to make the ore fields contain multiple kinds of ore. There may even be completely new types of ore with different mineral balances. The plan is to see fleets of miners working on each ore field to recover the assets it contains. In terms of game design, active gameplay for resource-gathering is always a better idea than passive systems. Passive systems cannot engage players, and cannot provide an opportunity for interactions between players. However, there is also an issue of required investment of time. Just moving to an active system means requiring more effort from more players. And that’s a difficult balance to find. If a moon-field takes too little time to clear, it reduces the ability for the asteroid field to serve as any kind of conflict driver. The locals can get in and out and be done before hostiles have any reasonable chance to attempt action. At the same time, if the timing is wrong on field creation, hostiles may be able to jump a group of rorquals in, ninja-mine the entire field, and jump out again. So too little work is bad. Conversely, too much time needed means time spent forcing players to ‘grind’—repetitive tasks that are designed primarily as time-sinks. In most MMOs, grinds are used as ways to pace player consumption of advanced, or ‘end-game’ content. An example would be grinding out reputation with a specific faction. That grind lets you purchase the equipment needed to tackle a specific instance or raid. Usually, in this configuration, the faction involved in the grind has set up camp at or near the entrance to the instance, so the player goes through a somewhat natural-feeling progression. In EVE, though, the ‘advanced’ content is other players. Very few items cannot be traded or sold, meaning most ‘grind’ mechanics for ‘gear’ (ie: modules or hulls) can be sidestepped with the proper application of ISK. Introducing a nullsec grind effectively serves to reduce the amount of time most nullsec players can devote to blowing one another up. With a player population that has matured, and often has a number of real-world concerns that eat up significant portions of their time (work, family, etc), this can have considerably detrimental effects on player activity. As much as we joke about ‘space-jobs’, just playing the fun and interesting parts of EVE Online can often require a considerable investment of time. People with limited time may not be able to do any kind of serious grind. And if players find themselves in a position where the need to grind leaves them with no time to do the fun stuff, they have no reason to do the grinding. They’ll simply go play something else. Make the game too much work, and all that happens is people stop playing. Let’s look at an example: Delve. Right now, the Delve region is home to the largest single concentration of EVE players functioning largely in cooperation. Between the alliances of the Imperium, there are 31,000 member-characters. It’s a foregone conclusion that many of these characters share an account with another character owned by the same player—nobody has a spare account for each of their alts. But for the sake of math, we’re going to treat them as if they are all on separate accounts, and all Omega clones—able to be logged in simultaneously. Let’s also assume they all have the same skills, again, purely for the sake of example. There are 3,726 moons in Delve. If each moon’s mining field takes 10 man-hours to clear in ‘Standard Mining Ship A’, then a fleet of 50 of them could descend on the rocks and be gone in 12 minutes. Which, let’s face it, is pretty quick. Sure, 50 miners seems a lot, but if you go and look at the mining anomalies in Delve currently, you’ll see spots with that many Rorquals. So it’s not impossible. Make that the means to controlling a source of alliance income like moon goo, and you’ll see more of them. 12 minutes, in and gone. That’s incredibly difficult to catch. Make it 100 man-hours to clear the asteroid field, and that same fleet takes 2 hours. But now it takes over 370,000 man-hours to work all of the moons in Delve. At that point, it literally takes each character in the Imperium mining for 4 days solid throughout the month to work the moons. If someone can only play for 6 hours a day on weekends, and can’t manage any time during the week, then over the 4.5 weeks of an average month, they need to put in 100 hours of play-time out of 54 hours of play-time. That’s not exactly workable. And 6 hours a day every single Saturday and every single Sunday isn’t really a reasonable amount of time to expect of anyone who’s working 40 hrs a week and has a spouse and/or kids. So clearly, the answer is somewhere in the middle. But even ‘somewhere in the middle’ means that we’re talking about miners investing a significant amount of their time into clearing these moon-fields. And that’s Delve. That’s the region in the game where reported mining production, even without Rorqual drones reporting properly, outstrips every other nullsec region by a ridiculous amount. For every other region in nullsec, for every other group in the game, just being able to maintain their current moon income will consume an even more significant amount of the time they’re already investing in mining. The solution to this becomes pretty quickly apparent: nullsec miners are going to need to be mining the moon-fields, no matter what. They need to be in these locations long enough to provide potential targets to their enemies. But they also need to have the time to be able to do the things they want to do. They’re already mining. They’re already out there mining in record numbers, all across New Eden. So incorporate the current mining into the moon mining. Instead of mining in Colossal deposits, have the moon deposits return the same amounts of ore as a Colossal deposit. Balance the return on moon mining so that mining all of the moon fields in a constellation, or a region, returns the same amount of non-goo minerals that can currently be obtained by mining Colossal deposits from DT to DT. That’s actually a pretty complicated number to generate. Right now, the amount of ore available through Colossal deposits in any given system is effectively almost infinite. That’s in one-star system. As soon as the Colossal’s done, a new one spawns. Put enough miners in to one-cycle the anomaly and… that’s a LOT of ore. So getting that right will take a bit of math on CCP’s part. Do not for a moment think that it won’t, or that it won’t require multiple passes to get the balance to where they want it. But they have computers. Computers are good at math. The point is: the only way to really make moon-mining feasible as an active gameplay element is not to make it something the majority of miners have to do. Make it something they get to do. Make the way to get the moon goo mined into the preferred way to do all of the ore mining, as well. Otherwise, it becomes an either/or proposition. Offering players interesting choices they get to make is good game design. Forcing the players to make needless choices they find onerous is not. I’m pretty sure CCP’s developers are smart enough to realize that. That’s the direction they’ve been moving for a number of years now. There have been some speedbumps erected to buy time to get other systems enacted, but overall, the direction of development in EVE Online since Seagull took over has been one of empowering players and trying to offer those interesting choices, instead of forcing the onerous ones. The third new development was the overview of the Blood Raider Engineering Complexes. This is the first iteration of a system intended to be spread to all, or at least many, of the pirate factions. By hunting down pirate-faction shipyards, players will get their hands on blueprint copies (BPCs) for the new faction capital ships. This mechanic is being used instead of the older method of Loyalty Point (LP) stores. LP stores sell BPCs of faction ships to players who do enough work for that faction. There are a number of reasons to be happy about this decision. In order to really understand what the new system may portend, though, it’s once again helpful to look at where we are now. Current PvE content in EVE is almost all based largely on the original NPC AI. In the wake of years of ship rebalancing, new ship introduction, and hull and module teiricide, PvE combat in EVE stands as a relic of the time and environment that produced it. EVE Online was released in 2003, the same year as Star Wars Galaxies. At the time, the top MMO in the world was EverQuest, topping out at 450,000 users in June of that year. World of Warcraft was still almost two years away. Online gaming was in its infancy, and mobile gaming meant GameBoy. Most of the gameplay development that we know and expect in modern MMOs and cooperative gameplay models wouldn’t even begin development for another five years. That’s the environment much of EVE’s PvE combat and missioning system was designed in. Expectations were different. Processing power was lower. It was a simpler time, and those parts of the game that remain from those days reflect that. PvE combat in EVE, ie: combat against NPCs, is consistent in its design across much of the game. Players warp to a location where waves of predetermined numbers of NPCs with predetermined capabilities and tactics await. Some of these NPCs are triggered to attack the player immediately upon entry into the location. Others are not triggered into aggression until players satisfy some condition. This may be coming within a certain distance. It may be shooting the NPC. It may be shooting or activating something else. In all cases, the triggering event is easily determined, and predictable. In many parts of the game, players go to places with NPCs called agents. In other games, these are your quest givers. When EVE was released, the idea that you could return to the same NPC quest giver for a new mission, randomly selected from a list that was tailored to that NPC’s affiliation and area of focus was groundbreaking. It was legitimately impressive. Sadly, it was also fourteen years ago. Today, linear-progression, ‘theme park’ MMOs continue to use the old model. They can get away with it: their quests are story-based and propel the player further along through the narrative. After a certain number of quests, you never deal with that quest giver again. Open-ended ‘sandbox’ games, however, have trended more toward dynamic, procedural challenge generation. In EVE terms, this would be the equivalent of giving a mission agent a whole new dimension of flexibility. Instead of selecting from a list of missions that are the same every time they’re run, the agent would select from a list of initial conditions: ‘The Damsel has been kidnapped’ or ‘a convoy has been attacked’. This sets the initial state of the mission, but from there, nothing is the same twice. Generating the mission profile this way is a relatively easy task, but extending procedural generation to what happens after you undock is significantly more complex. Out in nullsec, much of the game area has no mission agents. There, NPC pirates are found in Anomalies, deadspace pockets that players can warp to through the probe scanner interface. Once there, the same fourteen-year-old gameplay ensues: consistent, predetermined numbers of NPCs spawn, with predetermined stats, in predetermined waves. The NPCs behave in predictable ways, following their scripts. There’s a slight random element in that you might get a faction spawn, but the impact of that is negligible at best. It’s all easy to break down, easy to quantify, and easy to write up guides for missioning or anomalies. As a result, it’s also easy to determine ‘this is what you fly and how to fit it to max out your ISK per hour with minimal effort or attention’. That’s what leads to things like the very accurately named ‘AFKtar’, a series of optimized ratting Ishtar builds that continue to allow players to warp into an anomaly, drop their drones, turn on their modules, and walk away from the keyboard if they want to. It’s not exactly what you call engaging and exciting gameplay. There have been some developments in PvE combat through the years, though. Each of them was a step forward on a slow progression toward this year’s announcement. The first notable improvement came with the release of Wormhole space. In J-space, as the wormhole systems are often called, NPC drones named Sleepers wait to engage PCs who stumble into the sites they guard. These NPCs retain the predetermined, predictable numbers, statistics, and behavior of their predecessors, but the AI controlling them is a little more developed, giving them improved target selection and remote-repair capabilities. Though not truly revolutionary in terms of EVE PvE, the Sleepers represented a significant step forward and demonstrated CCP’s commitment to improving this aspect of their flagship product. The next step forward came with the introduction of Sansha Nation Incursions. Incursions are events where NPCs from the Sansha Nation invade a constellation of systems and exert system-wide effects on every ststem within the constellation. Some of these effects are preventing normal cynos from being lit, reducing the damage done by players, and reducing the armor and shield resistances of players. Incursion NPCs are significantly stronger than the normal system NPCs they replace and have a further improved AI. The combined result is an environment where the normal process of ratting alone or in small groups gives way to group sizes scaling up to as many as fifty or more players in a working together in a single site. Incursions, in effect, are EVE’s PvE raid content. Unfortunately, they’re still extremely static raid events. The NPC behaviors are highly scripted. Their numbers and capabilities are completely static. And so players are able to optimize their tools and behaviors to farm Incursions. 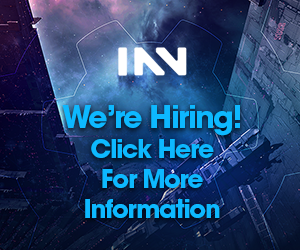 What started off as an exciting and dangerous new form of PvE very quickly became another ISK faucet for players who approach the content as work. The biggest step forward came in the last few years: a completely revised NPC AI. This new AI made its debut in limited fashion, as bugs were ironed out and capabilities and behaviors were tweaked and fine-tuned. The primary implementations of the new AI have been burner missions and the Drifters. Burner missions saw the introduction of PvE content designed to largely require multiple players. Unlike Incursions, the requirement for allies came not from the sheer number and power of the enemy ships, but from their behaviors. Burner NPCs are designed to react like players. Their behaviors take advantage of improvements in processing power to allow them more complex decision-making processes and better ability to select their targets and the tools they use against them. Burner NPCs behave like players, and they fight like players, using equivalent stats. As a result, where a normal mission might see a player in a frigate handily defeating a dozen NPC frigates, a pair of Burner frigates usually requires a pair of PCs, working together, to engage them. The other use of the new AI is the Drifters. NPC offshoots of the now-dead Jove Empire, Drifters are encountered in single, in pairs, or as a trio. They employ extremely powerful battleship-sized ships that are fast, tough, and capable of putting out immense damage—including a doomsday-style weapon that deals a flat 750,000 points of damage evenly across all four resists. Unlike most weapons in the game, the Drifter doomsday does not care about speed or signature radius when calculating damage. Both still play a part in determining whether or not the weapon hits, but if it hits, you eat three-quarters of a million damage. The only variation in this damage is by ship type. The normal Drifters do 750,000, while the now-defunct Drifter Incursion versions did only 650,000. A third type, found only in the Drifter Hive wormhole systems, delivers 850,000. In all cases, this is enough to utterly destroy most subcapitals. Drifter use of the newer AI has led to some of the most challenging PvE content currently in the game. Certain patterns of behavior can still be predicted, and the capabilities of a particular type of ship can be mapped out and planned for, of course. This has led to multiple groups of players from across New Eden participating in expeditions into the Drifter Hives to engage as many as four of these battleships at the same time, without losses. Even at this point, however, the Drifters enjoy a particular distinction as PvE content that remains challenging enough that a single mistake on the part of one pilot can lead to a cascading chain of player ships blowing up. This year at FanFest, CCP Larrikin and his team delivered a presentation about the new Blood Raider Engineering Complexes (BRECs). The big reveal was the further enhancement and augmentation of the new NPC AI to further replicate player behaviors. Now, the NPCs won’t just act like a PC or a pair of PCs. When the BRECs go live on Tranquility next month, entire fleets of NPCs will act like fleets of players. What’s more, the numbers and types of ship will be dynamically-generated in specific response to what players bring to the fight. If you bring in more friends, so will they. If you bring bigger ships, so will they. CCP Larrikin even hinted that as the BRECs become more mature and more fully-tested after months of being live on TQ, the Blood Raider NPCs may well respond to capitals or supercapitals with caps and supercaps of their own. The NPCs will use different tactics, depending on what fits they select for their own ships. They’ll warp around the grid, and try to reposition, just like players do. In testing on Singularity, the Blood Raider NPCs chased the player testing fleet back to the players’ Fortizar. And as they gave chase, the NPCs tackled and killed stragglers—just like players would. In the case of the BREC rats, this behavior was a bug. The Blood Raider rats aren’t supposed to do that. But it’s only a bug because that setting was supposed to be set ‘off’ on those NPCs. It’s an ability the NPC AI has and is supposed to have. Dynamic scaling of numbers. Dynamic selection of ship types, based on what the players bring. Variable tactics, based on what ships the NPCs have chosen. This amounts to a paradigm shift in what is capable in ratting. It’s also an incredible opportunity for reorganizing how ratting works. For mission-running, the new AI’s capabilities are a major step forward toward completely dynamic, procedural mission generation. In nullsec, though, these capabilities are something more far-reaching. Currently, the number and types of Anomalies in a given nullsec system is significantly determined by IHUB upgrades. This means that right now, the opportunities for ratting, and the number of players who can simultaneously rat in a given system is functionally limited. Ratting Anomalies don’t respawn as quickly as mining anomalies do, especially the high-end anomalies. The limited number of pirate ships in any given anomaly also means that ratters jealously guard their anomalies. Someone who warps into an occupied anomaly and doesn’t immediately begin aligning to warp back out will likely be ‘encouraged’ to do so. This can take the form of anything from ‘hey, dude, warp off please?’ in local to accusations of being a spy or awoxer, to being openly shot at in order to force the new arrival to get out. Now, though, the potential exists for CCP to implement the new AI and its dynamic scaling response code. Doing so could provide a few anomalies in a system where players are encouraged to cooperate, to bring in more and more players, and are rewarded for inclusive, social gameplay. The means for doing this is simple: the more players you put into an anomaly using the BREC scaling code, the more rats you get. The rats behave like players, providing an engaging, challenging fight. The new AI’s ability to evaluate the capabilities of the player forces and determine an appropriate level of response is significant. It means that new anomalies could provide a consistent level of challenge and reward for everything from a lone Ishtar to capital or supercapital ratters to gangs or fleets of ratters of all ship sizes. The effect of that sort of new anomaly could be striking. That single capability: the ability to scale up to accommodate multiple ratters, means removing a major limitation on potential population density. Taken individually, the new system for moon mining and the new capabilities for NPC interaction can have a significant effect on the nullsec landscape. Taken together, though, they provide the opportunity to completely remove the need for IHUB upgrades as a way to enable players to generate the in-game wealth needed to drive the game’s economic engine. That doesn’t mean, of course, that the need to hold sovereignty goes away. The sov index still controls the ability to deploy jump bridges. It still controls the ability to build titans and supercarriers. But at least one of these is already going to be changing. Jump bridges, as we currently know then, are living on borrowed time. Part of the reason for the moon-mining overhaul is to facilitate CCP’s long-term plans to remove POS towers. Removing towers means removing the jump bridges that—as they exist now—are anchored on those towers. And CCP clearly plans to do just that. They also, clearly, know exactly what form the new version of jump bridges will be taking. For the last few years, CCP has been holding up the holy grail of new structures: player-built stargates. The plan—what we’ve heard about again and again over the years—is that these structures will eventually be used to connect to all new regions of space. But as with any new structures, the stargates will almost certainly suffer from some degree of buggy code. Releasing stargates into new regions of space without extensive testing under the live usage conditions of Tranquility is a recipe for disaster. Instead, the first iteration of the player-build stargates is the obvious one: using them in current space. If something doesn’t work quite right, the ships who can’t use the gate can go around through the normal gates. And that, essentially, is what a jump bridge does. There are a lot of questions yet to be answered about the player-built stargates, of course. That’s unavoidable since the only specifics CCP has given us about them is that they’re coming… eventually. Maybe there will be different sizes for gates that work within a constellation (M), between constellations in the same region (L), and between different regions (XL). Maybe there won’t. We don’t know. We also don’t know if anchoring one of these new stargates will require any specific rating on the sov index. But we can, at least, be reasonably sure that these structures will take the place of jump bridges. And none of the new Upwell structures use entosis mechanics. As of now, there are only two outstanding issues for Aegis sov. Those issues are the name on the map, and the ability to build supercapitals. For everything else that makes holding sov useful, there’s a clear map for the route away from the Aegis sov system’s entosis mechanics. Of those two remaining issues, neither one is inherently tied to entosis mechanics. All that’s needed to offer up the final nail in the coffin of the Aegis sov system is one additional structure. This structure—for the sake of simplicity, we’ll call it an Upwell TCU—would use the current upwell mechanics for being anchored, attacked, and contested, and it would only need to establish the name on the map, and hold the time for tracking the sov index. And even this one last hurdle ties into another, admittedly tiny, announcement from FanFest. Coming next month, citadels will display the logo of the alliance or corporation that owns them. Very comprehensive compendium of whats happening. Kudos for taking the time to write such a worthwhile report. Very well written and researched. Thought-provoking analysis, as well. This is content I will likely have little to do with, but I was fascinated by your in-depth look at it. Thanks for the terrific read! That’s my basic take on it, too: they’re moving to basically a Dominion-esque system with some heavy tweaks. One tweak I’d love to see is to have Upwell structures in npc/w-space have the ‘base’ vulnerability window, minimum threshold, and damage cap, but for conquerable space, tie that to a total ADM of about 4, and then make them more/less vulnerabile (expanded/reduced windows, lower/higher minimum threshola, and higher/lower damage caps) as the ADM changes. It shouldn’t be a huge swing, but enough of one so that if you’ve got an Astrahus in sov you don’t own, or you never use, you either have to actually defend the damned thing, or be prepared for 1 dude in an Oracle to kill it. I really tried to see something else but I have the exact same conclusions on the current evolution. The idea of linking vuln to adm is something I could see happen, as it links the best of both worlds. Another goo upgrade would be to make the Ihub relevant by putting it in a sov structure upwell style and making it work against cloacky campers for example, but also maybe on intel. They gave the idea of “surveillance structures” two years ago, that’s a feature that could replace ihubs. making them more “active” in some way might be possible, by making a module that allow the owner to scan and spot signatures for allies fro example… sooo many possibilities! Upwell structures are imho the future of sov control, as they allow for a range of utilities and variations under unified conditions, what all sov systems failed to do before. Intervention! Arrendis needs to write 4 articles of 2k words, instead of 1 of 8k. 🙂 BLoody good long read though, and really interesting that you managed to deduce what I was litterlaly told by devs at fanfest in the smoking lounge. 🙂 The goal to make SOV a thing of the past is in the pipe. Second part would be to maybe utilize the entosis for proper “terrorist” warfare, by making it a feature that offlines and disrupts installed “rigs”, or that can move or shrink TZ tanking / vulnerability windows.. The system to govern who is SOV holder should be something as simple as a point system of assets value anchored in space, with maybe a length of time modifier in a minor sense. Just where I would like to see things trend. Or any variant of it. The point value system would be too easy to game. I mean, what happens if you’re chilling in your alliance’s capital, and right before DT, Gaara drops in his entire fleet of rorqs onto an a-hus you didn’t realize was there, and during the relatively dead window, anchors 50 fortizars. Sure, you’ve got a week, but if they’re all on different grids, you have to be able to keep all 50 paused, probably in heavy tidi, in a really crappy window. And if you don’t… sov flips and you lose your capital and staging system? Let’s not go back to a new version of pre-Dominion tower-sov. The big alliances will just be able to hold everything by simple virtue of having enough money to out-build the little guys. If CCP really intends to remove the entire idea of putting your flag on a map, you’re gonna see a lot of the people who want to own space, who want to see their name on the map, get very, very angry. Hence the point of a time modifier. 50 arsehouses for 4 hours, is still less than say 2 forts for 2 months. Value multiplied by a time factor. Also 50 houses, would be fast to take down if vuln tanking was nerfed/improved, hence just be free soft targets. Expensive ones. Yeah, but there’s a hard limit to how much that ‘time factor’ can play a role, otherwise, you make it impossible for small groups to unseat other small groups who’ve been in place for a year or so. I’m not sure I agree with this completely. You’re assuming that the price of moon goo will stay constant. If that is true then you will need to sell the same amount of goo to get the same income for it. However imagine if it took 100 hours to get 1 unit of goo. Then the price would surely rise. Really the price is the cost of convincing someone to go out and make the effort to get that resource for you. So yes if it’s a huge amount of work then the price per unit will be high and if it’s a small amount of work the price per unit will be low. If there were an unlimited amount of goo in each field then you would expect 1 hour of goo mining to make exactly the same profit as 1 hour of regular asteroid mining. Because if goo mining pays more people will switch to goo mining and if asteroid mining pays more they will switch to doing that. In general yield per hour won’t have a huge impact because people will switch from other activities to make up the gap. For example if ratting pays 80 mil per hour then if mining pays 100 mil then people will switch until they pay much the same. So yes the effort involved now will mean the effort per unit income will increase a lot. However this will be the same for all groups and so goo prices will probably rise and this will mean more income for the alliance from this source and things will remain much the same. Except of course, that if moon goo prices go up the way you’re suggesting, the price of every T2 hull in the game will go up proportionately. Which means expenses for each alliance go up as well. None of which changes the basic math: the groups with more manpower to throw at the problem will have an easier time distributing the labor. It will, inescapably, be harder for smaller groups to devote the same percentage of total alliance man-hours to maintaining parity (relative to their current position). Just like every other change in the history of the game. You’ve seen me say this before, Pew, and I’ve yet to be wrong about it: there is no challenge or difficulty that cannot be solved faster, better, and with better implementation, by the application of more brainpower, more organization, and more manpower. Larger, more organized groups always solve problems more effectively, throughout history. Sometimes, part of that solution is specifically devoting a small subsection of the group to the problem, but in those cases, that smaller group will all be individuals with specific skills, interests, and expertise aimed at the problem, and not just ‘the 40 guys we had’. I agree that any group which has moons and no miners is going to find it harder after the change. Groups that already mine are well placed. I don’t think changing ship prices particularly help or hinder anyone. If you and your opponent both have 100 bill to spend on a war then maybe that only buys rifters or maybe it buys tonnes of titans, it doesn’t matter, you’ll still be evenly matched. More expensive ships probably help new players a bit also. Because if ship A is 2x stronger than ship B but it is 100x more expensive then people will tend not to use it. If it’s 1.5x more expensive then they will always want to use it. So for newbs it would be better if t1 cruisers, for example, were more cost effective than tengus. Think about it: the large groups, who are already mining, will get richer. They won’t just get richer in absolute terms, they’ll get richer relative to everyone else. So whatever level playing field there is now in ship selection, with poorer groups able to afford logistics cruisers and strat cruisers…. will go away. The expense only goes up if doctrines are used the same way in the future. Perhaps things will have to change so every idiot with pulse is not put in the same ship. Thinking that article way way too long to actually read it. I just did exactly that. I’m glad it proved to be worth the time. Really, the majority of the length is in providing the background information new players or folks who are only playing in high-sec etc might need to follow the important bits. Not at all. In fact, most of the use of T2 hulls is the specialized roles. T3 hulls come from j-space resources, not moongoo. So you’re more likely to see more pure line dps ships, like the Machariel (which, after all, is a T1 hull). The specialized ships, the long point/web recons, the command ships, the logistics, the ships that aren’t ‘every idiot with a pulse’ will be the things that start to spike. Affording those will eat up more financing, and that’ll push down the demand for T3s, because they’ll just be too expensive to use. Almost everyone skips the burners. One of the big issues with changing too much pve content, is consistency. If players can’t consistently produce the isk they need, they are going to be very stressed and frustraded. Then they leave. A lot of the sites and ratting is extremely inconsistent, and the drop rates overall are way too low for the risk involved. If I have to go to places anyone can warp to then I’m in much more danger than the safe spots generated by missions, and I’ll probably make less as well. The risk vs reward, especially when consistency if taken into account is out of whack. I could rat at sites, anyone can b-line to, for a week and end up with billions or mere millions. If I only end up with millions, I won’t be joining fleet because I can’t afford to lose what I have. Stress and frustrations ensue. When I could just go mission and know I will make about this much for this much time and be safer while doing it. (at a spot attackers have to probe and go through acceleration gates to get to) The pve content needs to be properly balanced against other similar content, it very much isn’t right now. Meanwhile, the prices of just about everything has doubled since I started playing. Take away peoples reliable income and you’ll lose players, unless you step up the consistency and amount players receive from the more dangerous pve activities.